Home » Landscape Design » Zoysia Grass. Is it a good thing or not? I wrote this article about Zoysia grass and sent it to my newsletter list. Living in the north I truly am not much of an expert on Zoysia grass so I did a little research to write this article. But once I sent the article I received feed back from my subsribers. 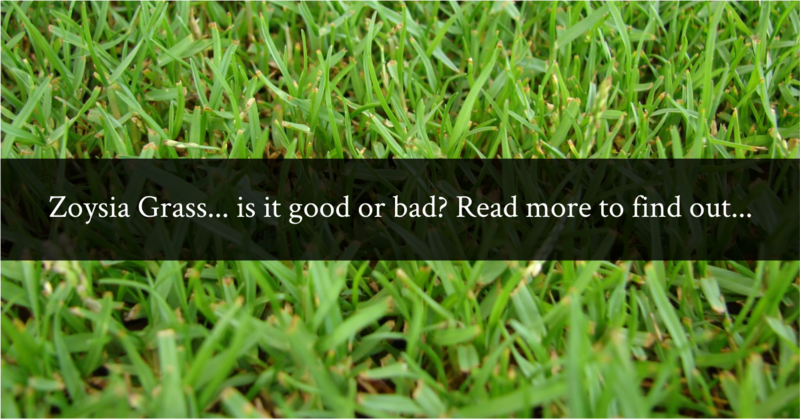 Some it very positive about Zoysia grass, so I’d like to share those comments with you. This is what I originally wrote. That depends who you ask. I know the advertisements for Zoysia grass make it sound absolutely wonderful, and some people who have purchased and planted it will you tell that it is. But what many people don’t realize is that come fall, as early as October, it will turn golden brown and stay that way all winter. I had a customer that used Zoysia to fill it parts of his lawn and he loved it. However, when I saw his yard during winter I thought somebody had sprayed half of his yard with weed killer. It wasn’t just brown, it was golden brown! I could have easily set it on fire. He didn’t mind that at all. But I thought it looked ridiculous. In a warmer zone it might have been different. Zoysia does have good qualities. It’s much more drought resistant than the cool season grasses that we are used to here in the north. It grows quite well under hot and dry conditions. Once established it fills in and makes a really nice, dense turf. During the dog days of summer when our cool season grasses aren’t so green, Zoysia stays green and healthy. Zoysia requires a lot less water than most other cool season grasses. Our cool season grasses look good for about 10 months of the year. Zoysia really only looks good from mid May through October. Establishing Zoysia is no easy task because you can’t just spread seed like you do with cool season grasses. You have to insert plugs and you first must get rid of all the existing grass and weeds before you plant the plugs. Zoysia does not do well in the shade and once you have it in your lawn, it’s not easy to change your mind and get rid of it. You can spray it with a non selective herbicide, but if you don’t want to do that, you’ll have a challenge on your hands. I think have two concerns about Zoysia which is why I’d never use it in my lawn. One, I wouldn’t want my lawn looking golden, golden brown all winter. And two, unless you plant your entire lawn with Zoysia, it’s looks really odd because in winter and summer both, Zoysia is just a completely different grass than what you probably have now. This is what others had to say. Hello Mike, I thank you for all of your great articles on yard care, I really appreciate the knowledge they contain. Your article on Zoysia Grass was also nice to read, but I wish to respond to it. I bought my home in Philadelphia in 1994. When I bought my home, most of the back yard was Zoysia. The areas that weren’t were partially shaded during the day. At first I did not like it, even though walking on it was like a carpet from it being so thick. It was first to die and last to come back each year. I found that the weed protection it provides is far superior to other grasses. Over the many years I have owned my home it has creeped around to the front yard. I do dislike the browning nature of the grass, but love the weed preventative nature of it. My yard skirt is next to a busy road that gets exposed to a lot of road salt during the winters. The grass in said skirt is always weed prone because of the poor soil quality. Improving the soil is a losing battle, so I have planted patches of Zoysia throughout the runs next to the road. Zoysia likes to creep and will overtake the weed prone skirts. I have come to accept the dead nature of the grass during the cool months because it is so good at preventing weeds. I really like not having to do much to keep the yard green during the summer without worrying about weeds. All said, I like the nature of the grass even though it dies early and grows late each year. Zoysia may be an ugly grass over much of the year but makes for an easy care lawn. I hate having to battle weeds and Zoysia makes that battle a non issue. Thank you Phil from Philadelphia! Interesting comments from somebody in the north who really appreciates some of the better qualities of Zoysia grass. Hi Mike, I enjoyed reading your article on Zoysia grass, but I respectfully disagree with one of the points. I live in Central Virginia. For the last few summers we have had limited rainfall in the summer. Consequently, the fescue (in full sun) goes dormant in July and doesn’t recover until late Sept-Early Oct when we begin our Sept-Oct-Nov fertilizing. Even with irrigation, one cannot water enough to keep the fescue from going dormant. So the question here is when do you want to have your grass look brown? During the peak summer months (fescue) or with the first frost (zoysia)? Thank you Chris from Virginia! It is interesting to hear from people in cold climates with positive comments about Zoysia grass. As I said in my article my customer here in Ohio loved his Zoysia grass. We have an acre of it and we love it! Zone 6a IL. Thank you Kathy! More interesting and informative comments from somebody in the north. Hi, Mike! Very interesting article on zoysia grass. We laid zoysia sod around 4 years ago in our backyard. The front yards in the subdivision were all sodded with bermuda. We hate our bermuda grass! So we’ve LOVED the dense barefoot carpet-like zoysia in the back (also, weeds don’t grow thru zoysia as they do thru the thin bermuda). Yes, it turns brown in the winter, but then so does the bermuda (and in fact, most yards in the Atlanta area ARE warm-season grasses for the reasons you mentioned, so it’s not odd-looking as it is to you from the north). When we laid our zoysia in the back, we couldn’t afford to do the entire yard in zoysia, so we had to lay some bermuda along the edges. We’d been told that while bermuda is more aggressive, the zoysia will eventually win out, because it’s denser and will choke out the bermuda. Now 4 years later, I can say that it seems to be true–our zoysia is slowly, very slowly, taking over the bermuda, much to our delight! So here’s one zoysia lawn lover who would do it all over again, if I had to choose between zoysia and bermuda! I enjoy your newsletters! thanks . . . Thank you Karen from Georgia! I was getting so many positive comments from people in the north I was hoping to hear from somebody from the south. I’ve seen Bermuda grass and I did not like it all so I can see why you’d be so happy with Zoysia grass. This has been interesting, educational and enlightening for me thanks to my dedicated and loyal subscribers! and join our Backyard Growing Family. You’re right, it’s a trade off. We have major problems with Japanese Honeysuckle out in our woods. I use a walk behind mower and then plant zoysia plugs. Makes a beautiful path, and chokes out undesirable, invasive species. So far it is wonderful, not only in our lawn but on our paths in the woods. One downside- every year we have to edge our garden of Zoysia. Some kind of a plastic barrier would be more affordable. It seems to me living in NE PA that the money and work you save with Zoysia can be used to spray the yellowed Zoysia green for those few months it is not green. The Zoysia lawns in my neighborhood are so beautiful. Just planted Compadre Zoysia sod three weeks ago and it has taken root well. Only problem is I have mowed twice in the last week and it’s going to need to be mowed again in the next day or so. Slow growing? Not for me. I tried a mini-zoysia experiment this past summer in my back yard. 3/4 of my entire yard is planted in a variety of hybrid bermuda- no problems with it except frequent need to dethatch it and the need for frequent mowing when it’s oven-hot outside. So, knowing zoysia is slower growing and can take heat, I bought a bag of Zenith zoysia seed and planted a plot of it on a bare patch of my backyard as a trial plot. The zoysia sprouted fine, but with more age and during the extreme heat of the summer, the grass blades became more and more chlorotic (light green, not deep green like the bermuda.) Both the bermuda and the zoysia were deeply watered every 3 days and were fertilized with nitrogen fertilizer once/month. I’m quite certain the zoysia cannot tolerate the extreme alkaline soil and alkaline water in Phoenix. I suppose I could spray the grass with micronutrients to green it up, but that would defeat the purpose of having a lower maint. lawn. Fun experiment, anyway. I may experiment this fall by watering the zoysia with water acidified with sulfuric acid to see if it greens up. The only thing that I would ask is how long was the zoysia established. Sometimes in the first season grasses look choleric at the end of the season. HELP… How can I rid my lawn of Zoysia grass completely and replace it with normal grass for my Columbus, Ohio location. It was suggested I apply round-up to completely kill off the zoysia then replant the area by using a slit-seed machine to plant my new grass over the dead zoysia. How does this sound to you Mike? That method is pretty much standard practice throughout the industry. Wild or common Bermuda out performs new Zoysia sod. But as the Zoysia sod becomes root established it begins to rebound and flourish. The extent of Zoysia being successful depends on where you live, the chemicals to treat your lawn, and how you mow your grass. Keeping the common Bermuda cut lower will give the Zoysia sod an upper edge. When it comes to hybrid Bermuda, my Zoysia patches are gaining ground against the hybrid Bermuda type at a slower rate. I’m looking for Zenith Zoysia sod. I live in Southern California and I’m having a tough time locating a local distributor. Please refer me to someone in Southern Cali that sells this sod. Thank you for your help! I really can’t help but maybe somebody else can. Call some landscape companies, they know all the sod dealers. And you don’t need pesticides. I know I don’t use it on my zoysia lawn. I live in Northern Rhode Island. Love Zoysia. My neighbor has it for their large yard and I had it put in. Rarely have to water it. When other lawns looked burned in the summer mine is green .No pesticides. Low maintenence- feels like a carpet underfoot. Think of the damage we are doing to trhe bees and other flora and fauna with these dangerous chemicals. It really keeps out weeds, no dandelions- yeah! It does turn brown in the winter but it it covered with snow, so what for all the benefits it provides. Just relandscaped and my landscaper is redoing the new areas with zoysia. I have bees and butterflies in my garden. I live in southern California, Bakersfield actually. It’s hot and dry here. No grass is green during the winter months and I hate it. I want nice, lush green lawn but all I have is that horrible nut grass, crab grass and bermuda. Our winters are exceeding mild. Very occasionally it will get down under 30 degrees and we’ll have a heavy frost. The summers are very hot but with low humidity. We’ve seen it get up to 115 degrees, mostly though, the highest is around 107 degrees. The nut and crab grass outdistance the bermuda. Help, what grass would work best? I was hoping the Zoysia was the answer. Hi Mike! Love the revised zoysia article! It is a soft, thick grass that grows and spreads very slowly. I need the expertise of all the grass-loving Bermuda-hating community. Bermuda, aka wire grass, is a common lawn grass used throughout Oklahoma, because it takes the heat and doesn’t require alot of water. Few people know it is also an agressive, invasive weed. Does anyone have a sure-fire way of killing the Bermuda without harming the zoysia? The two grasses are genetically related, so I would love to hear any success stories. I lnve in the mid-section of the Berkshire county in western Massachusetts. Is it a good idea to use the Zoysia? Only you can decide that. It will turn golden brown during the winter and if you only use it in part of your yard it looks very odd. Me? In the north? I wouldn’t plant it. Koko, if you live in the North, I would plant Kentucky Bluegrass. It’s soft. Fescue would be my second choice. But, if you opt for Kentucky blue, be sure to use a blend that contains fescues and fine bladed rye so you get fast germination or the weeds will come before the grass. I live in Rhode Island and friends have it. I was sold on it for one reason. Watering…..you don’t have to! It is all personal but nothing ticks me off more than using drinking water to compete with the Jones’. LOVE IT! Oh….. I paint it end of November/December to deal with brown look…tenants dont like. Well I live 60 miles East of Atlanta, and had a tornado hit my house and put a large tree on my roof and when they removed it the big equipment tore up my yard. I completely killed everything left, fescue and weeds. I brought in top soil spread it and leveled it and then put down zoysia sod. I took hold quickly and looked great, it is now Dec. and is still green. There are several kinds of zoysia and you need to pick what is best for your yard. I have partial shade, large trees, and the grass is doing well under them. The fescue that I had was never ever good for long after it ws planted and may have looked good for a few months, but then thinned out, died or was washed away by heavy rains. I have centipede grass in my back yard and it also does great. Fescue has to be re-seeded twice a year and never looks great for any length of time. I have had no trouble with the zousia spreading, but the centipede really spreads every year, since I have about 2.5 acres that has a poor stand of various grasses and weeds, I will be glad when it takes over. I built a new house on an acre of land in Florida about 5 years ago. I did my research and decided that empire zoysia would be the best grass for me to put down. That was a huge mistake ! Although zoysia is very nice looking when it is perfect, getting it to look perfect is a constant battle. Number one they forgot to mention that zoysia will not grow at all unless it is fertilized . It needs fertilizer every other month to look and be healthy or it will look like crap . I put down 75 pallets of it and i really wish i could get rid of it. If I had put down bahia or st augustine and used this much fertilizer my lawn would be beautiful. My zoysia lawn looks bad even though I spent about a thousand dollars on fertilizer this year. DO NOT BUY ZOYSIA I AM WARNING YOU ! Much time was spent reseeding, fertilizing and watering fescue grass. Stepped into Zoysia grass lawn in Atlanta one year and feel in love with it. Our lawn is now zoysia. It’s green and healthy during the summer with less watering. Would rather have brown zoysia grass in winter when almost all trees and plants rest than in summer when trees and most most are green and blooming.. I live in sanger California in the middle of the state, vary hot in summer. I have a small back yard, filtered sun light, will zoysia work for me? tried everything else. if so how do I prep? I don’t know why it wouldn’t. I’d wait until the cool time of the year then spray and kill what weeds and grass you have in your yard, then plant the zoysia seed or plugs and water well. Mike– I grew up in Georgia where the best lawns were Zoysia, and I love the brown look in winter. In my opinion it looks better with all the berries and dark reds and browns in the winter garden and just looks more appropriate for the time of year. And nobody has mentioned this– zoysia feels warm and inviting to walk across in cold weather. Green grass feels chilly by comparison. I just mentioned this in case anyone feels like going outside barefoot in January, it is somewhat more plausible if you have a Zoysia lawn. Great article and obviously very interesting to a lot of people. I live in SW FL. I have planted a couple of plug flats of zoysia grass and going to add 3 more flats. I have a variety of grasses and weeds in my ward and hoping that the zoysia will overtake all of the other grasses. It does seem to take a while and plenty of watering to get started. But I am hoping that the time and effort to get it going will be outweighed by a durable, weed free yard. Really liked the various comment, both pro and con, to give me a summary of what I could expect. I’m 56 years old and live on Long Island, NY – a transition zone climate – and think Zoysia to the only grass we should grow. 1. The tan color from its winter dormancy was hardly seen because of all the snow covering it the past 2 winters! 2. Low water needs – the price of water if climbing and will continue to climb. Once established, Zoysia needs very little watering. This saves our water for more important things, and keeps money in the homeowners pockets. First thing I have to say is zoysia is freaking awesome. It’s available in Sod mostly but there are some varieties available in seed. Depending upon where you live, it’ll stay green all year long or just a few months long. Does it really matter if it turns golden during the winter? I don’t think so. Especially considering Bermuda does the same thing yet nobody every complains about Bermuda turning brown. I have a Super-Sod near me and they sell Zenith Zoysia in seed and sod. Zenith Zoysia is Zoysia japonica Steud. About 15 years ago, I decided to give it a try in my front yard using sod in a 10’x10′ plot. It did awesome until I had to have a drainage issue fixed and they tore it all up with heavy equipment. Fast forward to about 2012. I built a huge house on a 2 acre lot in a neighborhood on the lake near Charlotte, NC. I did a lot of the work myself and acted as the GC. It was a lot of fun. Anyway. I was low on money so I cheaped out and went with fescue. Once I had some reserved built back up, I decided to convert back to zoysia in stages. I decided to go with Zenith Zoysia since I could use sod and seed. I started with a 1200 sq ft location and tilled and amended. I planted zenith zoysia seed and kept it wet for about a month straight. Didn’t cost much to water either. Barely made a change in my water bill. After that, I gradually cut back on water until I was watering about once per week. Once well established, I only watered when stressed. It took about 4 months to be mostly filled in and thick like a carpet. The bare spots filled in the following summer. I seeded my backyard the same way but used seed that was a little over a year old. They say the germination rate drops significantly but I found university tests that showed it was still near the same rate as new seed. I put it down in summer of 2014 and sure enough, it germinated just fine and has almost completely filled in as of 5/15/2015. I never have to put down any weed control or crabgrass preventer. I’ve never seen a weed in it. It definitely is weedless like advertised. If you seed, you will get a lot of crabgrass as well because you are watering in a way that promotes crabgrass germination. Just mow it low as soon as you have something to mow even if it just looks like weeds. If you let the weeds get high, the zoysia seedlings will grow very slowly. Zoysia does creep and it’s much more than 2 inches per year. Mature zoysia will send out runners several feet long over the course of a season. It’s nowhere near as invasive as Bermuda, however. In this area, I’d say I get about 8 months of green out of Zenith Zoysia. It’ll take a few freezes to completely turn it golden and it greens up again in late February to early march. Who cares if it turns golden…Fescue thins out considerably and has a lot of brown during the winter and I think the consistent golden of zoysia is much more desirable than the sparse look of winter fescue. Also, fescue cannot handle the heat in the south including the Charlotte area. It’s already stressing and going dormant in this area as of 5/15/2015 and I refuse to water it. I have a house with Bermuda just down the road and even though it gets thick like a carpet, it gets full of weeds and crabgrass and invades everything. Zoysia is so much better. When I first wrote about Zoysia grass I had no idea that I would find so many raving fans for this grass. Thank you for sharing your story about it. Our house came with Zoysia grass when we bought it. I absolutely hate it. As I am writing this on May 12th our grass is Still not green and will be back to looking like hay by mid-October, so 4 months of green grass and garbage the rest. The worst thing about it is how difficult it is to kill. Three rounds of Roundup and fingers crossed are needed, then dig it up or it Will come back. The history of the grass in my neighborhood is that someone three doors up did his lawn in this stuff in the 60s and it has spread into every neighboring yard and kept going. As far as it feeling like plush carpet when walked on, that plush feeling isn’t grass, it’s the two inches of dead zoysia thatch that never decomposes underneath. I agree. Zosia is awful. I live in New York State and this grass is ugly and prickly dry dormant gold 9 months of the year. Horribly invasive. I spend days pulling it out of my flower beds and trying to keep it from spreading to my neighbors nice green lawns. I would trade it for a yard full of grubs any day. Don’t ever get it if you live in the North. Zoysia is not as hard to get rid of as the above story indicates. In fact it is relatively easy. Here in Arkansas, all you have to do is bring in a small bunch of Army worms and in or two days, they will eat it completely to the root, effectively killing it. I have a large dead patch in my yard where they did just that last September. Also, over the years, I have lost several large patches due to ice and snow, which, if setting on the turff, for a few days, can also wipe it out. So, it is not that difficult to get rid of. I order 75 plugs, and since my yard is small, I expected it would fill to cover over time. As I live in California, the shipment was held in quarantine for a while before I reveived it, so a small percentage dried out. After following instructions to the letter, I plugged the surviving plugs and watered as usual. Withing about a month, there were absolutely no survivors, so it was a total waste of money for. Very much unimpressed. I don’t like zoysia, at all. My 1/2 acre yard is tall fescue, but my neighbor has zoysia, and it is very invasive. It is taking over part of my front yard already, and I don’t like the brown color. Also, my neighbor’s yard is plagued with dandelions and other weeds, so I can’t believe that zoysia is that good at preventing weeds, as some has said here. I appreciate your input. It seems that debate of Zoysia being good or bad marches on. Sounds more like Bermuda that zoysia. I’ve never applied herbicide or preemergent to my zoysia and have never had a weed in it. My Bermuda on the other hand is always full of weeds even with preemergent and constant weed spraying. I live in central Texas, and I hate the look of both the usual Bermuda and St. Augustine grasses here, I tried some Zoysia plugs from a local nursery a few years ago (don’t know what variety) at our previous house. Although they did stay green in the summer without much water, when they got kind of dry, the blades would curl along the sides so that they looked like clusters of some kind of desert spikes.. I pulled them out after a few months. There was a small patch of Buffalo grass at the back of our Bermuda-in-sun, St. Augustine-in-shade back yard when we bought our current home. Over the past four years (first two of which it hardly rained at all), the Buffalo has crowded out the Bermuda in more than half the sunny areas, and is much better-looking, and requires less water in summer. Buffalo isn’t sold in stores here, though, so I’ve started taking plugs from the back yard to add to the front. This grass is genetically modified. It is unknown how this GMO product could affect other plants in your yard or potentially your edible garden. I would NEVER want to risk contamination in my yard with a GMO. Surprising that no one in this thread was concerned about genetically modified contamination in their yards. I truly don’t believe that Zoysia grass is genetically modified. To me that is a huge stretch. Zoysia is not a GMO product. Many Bermuda grass varieties are not GMO but were produced by being bombarded with gamma radiation and allowed to grow. Those which exhibited desirable traits were commercialized. While humans don’t consume them, animals and insects do. I’m not sure why people complain about GMO food but hybrid Bermuda is perfectly fine. Mike.. What most of you up north do not realize is that down south we have few choices. I have been through it all. I have tried blue grass, Merion, creeping red and other fescues, Emerald Zoysia various Tifton bermudas. The other choice is a horrible clumping wide bladed orchard pseudo grass called KY31. My neighbor seeded this year after year and I spent hour after hour weeding it out of my gorgeous Emerald Zoysia, During the winter my zoysia looks like the thick lush carpet cut pile in my home. .Under my trees in the back I am trying creeping thyme.. One could do what some did in Denver circa 1953 by just paving green concrete over the yard.. I appreciate your comments and you are right. In the south you just don’t have the options of the same kinds of grasses that we do in the north. Our grasses often go dormant during hot dry spells and that’s no more attractive than Zoysia in the winter so in a way were all in a similar boat. Does anyone know how well it would do in California’s Central Valley? My neighbor has had zoysia for years, and I have cut a few times for them. It’s a PAIN to cut, because it’s so thick, and not comfortable at all to walk on in bare feet…it hurts, actually. And it has invaded 3 neighboring lawns, which were beautiful lawns to begin with, but now look like crap, especially in the fall and winter. It may be a decent choice in the south, due to the heat factor, but here in the Great White North (Pittsburgh), I’d plant ground ivy before I put zoysia in. And I HATE ground ivy. I planted cavalier zoysia in the backyard of my Austin home. I chose cavalier ecause it was the only super soft zoysia I found (visited the agricultural extension and stepped on the patches).. Whereas emerald is a little bluer and preferred by some, my 2 year old had a super plush, lovely, Kelly green cushion under her swing set to tumble onto. Live in the Ft. Myers, FL area. Sodded the yard one year ago with zoysia. It’s mid-January and the grass has never looked so good. You will need edging if you want to keep it out of your planters. What are your thoughts for Zoysia in my neck of the woods? the inorganic version do. 6) Decreased Time to Market: There have been great advancements in methods of food production, processing, packaging, preservation and delivery. BOSTON-I bought Zoysia plugs advertised in 1999 for my parent’s house. Forgot about them when I moved away for 5 years. Then one summer I noticed an area that wasn’t overgrown with weeds, looked like it had been mowed-it was the Zoysia! I realized it was very slow in the Boston area since it will grow fast only June-August. I bought sod. I’ve had it for 9 years and love it! Only mow twice a year vs next door neighbor mows 12 TIMES a year !!! She has a lawn chemical company and waters like crazy. She’s obsessed and HATES my lawn. From the plugs I planted and forgot-they invaded her side so I will have to redo that for her, but it’s a lot less hassle than having done 100+ mowings over the last 9 years. Plus I’m going to take the Zoysia from her lawn for another area on my lawn. SOLUTION to INVADING garden beds etc. Do a CONCRETE continuous edging. GOOGLE concrete garden edging, or concrete mowing strip. Pour it 6 inches deep below the soil and I’d do it 1.5 inches above the soil. I cut my grass at 3″. In Utah many of us have zoysia like grass that we didn’t plant and we hate it. Everyone is right that it is thick and strong and goes brown early and is late to green up. It also doesn’t need much water. It hates shade and doesn’t spread much in shady areas. What we hate it that it creep into all of your flower beds and gardens and is extremely difficult to get rid of. It goes quite deep and when it gets in your flower beds, you can’t pull it up, it breaks off unless you get new starts very early. If you spade an area, every little piece that breaks off grows more and it goes in long runners under cement borders. It’s just terrible. 2. I tried to rack up as much of the dead grass as possible. 3. Threw seed down (Penn State Mix) and covered with mushroom manure. After having absolutely no growth due to poor soil contact, I had to take more action. In the fall I rented a roto-tiller and tilled all of the dead grass. I collected bags of dead grass and roots from the Zoysia grass (the root system is insane). I planted grass and got a pretty good growth this time around. This Spring I’ve had to drop seed in the places they never grew in thick. It’s been a process, but I am so much happier with how it looks now. One piece of advice is to rent a roller after tilling the grass. If anyone wants to tackle this project and is looking for more advice let me know. A neighbor tried that but seed comes through the secondary water system and it starts all over again, at least that’s how we think it starts again. I have Zoysia Ultimate Flora (a finer textured grass, more drought tolerant) here in 9-10 area of FL. It takes a lot of water to get started but it is much finer and tighter, stays green most of the year round here. It is tight enough that a lot of the pine needles, when falling, will stick straight up in the grass. It is almost easier to pull the weeds than spray. I have a half acre lot that I mow at about 3 inches. It is the best looking grass in the neighborhood. I have had it in about 3 years. It is invasive into unedged areas. Zoysia ? I HATE it ! For Many Reasons, mostly because the Ads For It DO make it sound like “God’s Greatest Gift to Gardens” — when ,in fact, HERE on The West Coast, anywhere around Los Angeles ? It is The UGLIEST Lawn Anyone Can Have ! Every Alternate Grass / Ground Cover i have ever seen is GREEN Year Long ! Living in the area where Spanish Missionaries Built with Adobe Soil only makes it Even Worse ! It does Not ‘take well’ At ALL to dense Clay Soils ! The Weeds FAR outpace it On Growth and Spreadability, let alone Green Beauty ! It gets Choked Out by Other Growth, barely surviving UNLESS Coddled constantly. In over 60 years as an avid gardener, i have NEVER seen a Zoysia Lawn in Southern California that looked Good ! And i have NEVER heard Anyone who TRIED IT speak anything but Negatively about it ! It is UGLY when weeds and many alternate plantings THRIVE and Look Attractive, if not Beautiful ! It should NEVER be sold on the West Coast, in My opinion ! So it won’t grow at all here? Had to read so many comments to find a couple for California. Seems like it should be good here with all the drought. Thanks for the advice. Hi Mike, I am from Takoma Park, Maryland. I read your article on zoysia grass, and the comments from your readers. I thought your article was spot on, based on your research. By the same token, I totally agree with your readers. I have had Zoysia grass in my yard for about 19 years, and it has been wonderful; however, in the past couple of years, the weeds have been invading it. I have been pulling the weeds in the spring, but it seems like more come back the following year. Do you or your readers have any suggestions on how I can return my zoysia to its weed- free lushness? The Tifton bermudas brown in the winter also. I have tried test plots of numerous varieties. Look at the golf greens. Likely they over seed with annual rye. Horrible is in the eyes of the beholder. Bermuda will brown at first freeze and take forever to green up. It gets tons of weeds. you can find Bermuda grass seed in just about any local home center in Georgia as well as via sod from sod farmers. A whole lot of Bermuda sod is grown in Georgia. we bought an old house in south louisiana. zoysia was planted in the yard and is (unfortunately) very well established in huge spots in most of the yard. what a nuisance! it is so unsightly in the winter, aggressively crawling into beds and into the chipped granite driveway, and choking out the small amount of good old st. augustine grass that remained. i am stuck with it now but i would never recommend it to anyone. I love my Zoysia! I live just outside Atlanta. I echo the comments from many others about Zoysia; soft carpet like feel, tolerates drought better (but not completely), self heals bare spots, chokes out weeds better. Our 1st home we had the front yard sodded with Zoysia. In our current home we actually used Zoysia seed. I saw an ad in the local power EMC magazine and did not believe it. I called the company and sure enough, there is a seeded version available. It is called Zenith Zoysia, and very similar to the Meyers Zoysia that was at our 1st home. The seed does need good heat to germinate and takes a long time to germinate. I actually called the farm where the seed was harvested as it was taking so long for it to germinate. They were very nice and said because we had a period of cool weather it would take about another week before it started to germinate. Sure enough, it started to germinate just like they said. It was over 3 weeks to get it to germinate. The 1st year it filled in nicely, but by the end of the 2nd year it was awesome. Me neighbors started calling our yard the ballpark because of the grass. It’s been 10 years now with this grass. We get bare spots because we have 3 dogs and get the burn areas. As long as we don’t use pre-emergent, these areas heal themselves. The pre-emergent stops the Zoysia from spreading. Weed-B-Gone works great to knock out any weeds that do come up in the week areas, just be careful not to use it around the trip line of any trees or shrubs. We almost lost a cherry tree as we got the Weed-B-Gone into the drip line. The severe drought we had a few years back also caused major stress on the grass. It is drought tolerant, but there is a limit to how much it will withstand. The nice thing is that it will tell you it needs water. The leaves will start to close up and the color will change. If you can water immediately deeply at this stage, it recovers well. During the severe drought there were watering restrictions, so I was not able to water as needed. Some areas actually did die out, but they have recovered with no work on my part. If you give it a final mowing after it’s gone dormant, it looks like a nice light brown carpet during the winter. The great thing about it is if it does die in some spots, you can take plugs from the good areas and put them in those areas. I plugged a 400 square foot area and it filled in completely by the end of the season. Also a zoysia lover. We are in Northern MS and I actually started my zoysia from seed! I bought the seed at my local co-op started with one pound spread over about a half acre. I started in the hot part of summer with drought, so I had to water it all day by moving a sprinkler around for 6 weeks until it came up. The next year I went back to buy more seed and the co-op sales person could not believe I had actually got it to grow. I finally found two more pounds of seed, installed an irrigation system covering 2 acres and for 16 years we have had a well established almost weed free lawn that only needs cutting about every 3 weeks. I like to burn it off in March. It seems to make it exceptionally green and kills any winter weeds. My only complaints the zenith variety we have is not very shade tolerant like the newer varieties, but it can be started from seed with a great deal of work. Sounds like Zenith Zoysia or whatever brand name they sold it under. it’s Zoysia japonica Steud and had the wider blades which is what I like. It doesn’t do well in share. This is from personal experience. I have a courtyard where I planted Empire Zoysia sod and it’s done exceptionally well with little sun. I had some left over so I put it in an area under trees that gets a lot of shade and it has spread and filled in very well. Over the weekend, I’m going to take some plugs of it and place them in a semi-shady area where zenith plugs failed to grow. Since you brought it up again, here’s a story about one Zoysia-seeded lawn in Virginia. I’m in Northern Virginia, 3 miles south of the Potomac river. We have 4 seasons–hot summers with periods of drought and periods of heavy rain, this winter was cold and snowy, low of 6 degrees, more than 4 feet of snow. Last frost is usually March, first frost is usually October. Five years ago, I eradicated my cool season grass lawn and re-seeded (yes, seeded) with Zoysia. The seeds were slow to germinate and spread. There were lots of bare spots the first couple years. Weeds and volunteer cool season grass grew throughout the lawn the first year. By the end of the first growing season, the lawn was 70% filled in with good Zoysia plants. Over the next four growing seasons, the Zoysia slowly filled in the bare spots, and choked out weeds and other grass. My Zoysia lawn care routine: first thing in the spring–weed and feed lightly; then cut it with a mulching lawn mower at 2 inches every 2 or 3 weeks during the summer; let the clippings stay on the lawn. That’s it. No watering, no insecticide, no fungicide, no heavy fertilizing, no special chemicals, nothing. It is an emerald green from the time soil temperature hits 60 degrees until a week or two after the first frost (May to November). In the winter to late spring (November to May) the lawn is a uniform straw color. Now, compare my lawn to my neighbors’ lawns. Their cool season grasses require constant pampering. Either they have a lawn service perform the non-stop maintenance, at a high price, or the lawn becomes their baby–requiring constant attention. Their cool season grass lawns were all brown and ragged this winter in the constant cold weather and snow. Then in the summer (June to September), when the temperature hits a low of 70 and highs in the 90s, their cool season grasses require constant watering, weeding, fertilizing, chemical treatments to stay alive and semi-green. Without that pampering, their lawns are brown and sickly looking. There are two brief stretches of the year when the cool season lawns are happy and look great with minimal work–a few weeks in early spring, and a few weeks in late fall. At those times, the temperature ranges from the 40s to the low 70s, and there’s usually plenty of rain. This is the perfect conditions for these cool season lawns. But it’s too cool to spend time outside, so the benefits are all visual–their lawns are beautiful, with minimal pampering for a couple of weeks, twice a year. In the summertime, when the neighborhood is outside, enjoying our hot summers, the cool season lawns are dying. To keep their lawns green, my neighbors mostly have installed in-ground sprinkler systems. These come on a couple times a day. One neighbor told me that in the middle of summer he spends about $200 a month on water. In addition, a hidden cost for this watering is the sewer fee–we are charged sewer fees by the county water/sewage company based on our water usage. So not only do they have to pay through the nose for the water they use to keep their cool season grass green in the summer, they have to pay sewer charges for every gallon of water that goes on the grass–even though it never gets near the sewer system! In the local climate, it appears to be literally insane to try to nurture a plant (cool season grasses) which is perfectly suited for the climate of Maine or Ireland. With the right technical work–heaters, etc–, you could grow banana plants year-round in this climate too. But would that make any sense? On the other hand, warm climate grass, like Zoysia, is ideally suited for this climate. It thrives in the summer when we are playing outside every day, is beautiful, comfortable, low maintenance. It forms a thick, soft, even, smooth carpet that is perfect for playing on–croquet, football, sitting on, lying on a blanket in the evening, it’s the perfect summer ground cover. The downside of Zoysia? It aggressively attacks asphalt and invades flower beds. So I have an additional chore that my neighbors do not–cutting an edging border at my driveway and around beds. This has to be done every other year, or so. Then I hit the aggressive Zoysia runners that pop out of the border with Round-up, a couple of times in the summer. If I let them go, they will take over a bed quite quickly–in one summer. That’s it–that’s the only downside. Thank you for your detailed response. I’ve gotten more positive feedback about Zoysia than anything I’ve ever written about. The last paragrpah is why I hate it, It is really bad for gardens and flower beds and anywhere it can creep. One other benefit that I have noticed about Zoysia(Pallisades) is that when it is cut about 2 inches before it goes dormant in winter, leafs falling from trees will not get entangled within the blades of the grass. Most of my neighbors have other types of grasses that the grass blades continued to grow out through some of the winter before going dormant, trapping lots of leaves. So at this point I have my entire front yard golden brown,neat and clean, while everyone else’s lawns looks unkempt full of debris and leaves. Raking leaves from the uniformly dormant Zoysia was much easier this year than previous years when I had grass/weeds. That is definitely true. I had many maple & oak leaves on my zoysia lawn in Nashville and raking was much easier. At times, depending on the number of leaves, I even used a broom! The lawn was so thick. Best in the neighborhood. Couple of kids asked to take their sHoes off & walk on it! I chop the leaves with a riding mower directly on my Emerald Zoysia.. The leaves decompose and feed the zoysia. 1. You can plant Zoysia at a fraction of the cost to sod an entire lawn. We recently bought a house with a very large yard–4 acres–mostly with poor grass & weeds. I bought a pallet of Zoysia with 450 sq ft and plugged the yard instead of sodding. I can get 36 plugs/sq ft plus the remnants around the plugs. So that one pallet produces around 18,000 plugs. You only have to plant one per sq ft, so you get **ALOT** of bang for your buck. I did the entire front yard with one pallet. It takes about a year with proper fertilizing & watering to have the plugs spread & fill in the rest, but you can’t beat the cost: $200 plus my time vs. $5000, just for the front yard. 2. You can plant zoysia from seed, it’s just a bit more difficult & the seed is harder to find. You can get the seed online–Compadre is one variety and Zenith is the other main one. You folks pretty much have year round temperatures that don’t vary a lot. Texas gets smokin hot in the summer, but in many parts it also gets down to freezing with an occasional snow and zoysia is pretty popular there. So I’d have to think that it would work for you. Here in the north people plant zoysia and it does great. The downside is that come winter it turns golden brown. In your climate I don’t think that would happen. Variety? I honestly don’t know. My stepfather planted maybe 50 plugs over 40 years ago in his fathers backyard. The Zoysia took over the whole yard and they have not seen a weed in it ever. It feels like one of those thick gym mats when you walk on it because it is so Spongy. They have never watered or fertilized it or anything. It is harder to mow because the lawnmower can bog down a little in the grass because it is so thick. I would recommend a powerful mower with sharp blades, preferably self propelled. Even when it turns golden brown it is still soft and spongy. It grows well even in the shade, and actually grows right up to the trunk of trees. Weeds don’t even dare go near this grass. This lawn is in Norwalk Connecticut BTW. The lawn in the front is not Zoysia and it looks like something that comes out of the rear end of a Bull (really really bad). When I bought my house in 1994 it was brand new. There was absolutely no landscaping, I had seen the add in the Sunday paper that runs every week. I mailed away for my plugs and free plugging tool.When I received my package I thought they sent me dead grass! I said to heck with this and threw it down in the dirt up against the foundation and bought seed. To make along story short in a few years the zoysia took over and I had a large patch of it to take plugs from with my plugging tool. I don’t mind it turning brown in the winter, it’s a small price to pay for a beautiful lawn all summer. Ooops! Forgot to say we are in central / northern Virginia, and as your previous VA poster said … Yes, due to draught it is a choice of brown in the summer or brown in late October-early April. I’m actually plugging my lawn with zoysia this weekend! I’m super excited to be resolving my dry dead lawn full of weeds problem. My husband is a northerner and I’m from Georgia. Many years ago I helped my parents plug thier lawn with zoysia. My husband got some serious lawn envy when we went to visit my parents last spring. I’ve heard nothing but lamenting from him since. My husband has worked in landscaping for years and swears that the only cure for our lawn is to scrape the top, bring in decent top soil, and re-sod the whole thing costing us thousands. I can’t wait to prove him wrong! The plugs, fertilizer, augers, gloves, and shears only cost us $400. Beer and pizza for our awesome Nieghbors who are helping us another $100. A beautiful lawn and hearing “you were right.”…. Priceless! P.S. the weeds and crab grass are brown all year. I bought a house this time last year with Zoysia. The prior owner had not planted it, neither did my immediate neighbors. It was planted by the owner two houses away and over a couple decades has now taken over my neighbors yard to the north, nearly my entire yard, and is now spreading into my neighbor to the south’s yard. When you plant this stuff you are planting it for your neighbors, whether they want it or not. I absolutely hate Zoysia grass and it’s straw-like color that makes winter even more depressing. I’m trying to keep it out of my upper yard, which is separated by gardens except for a few paths, otherwise it would be in there. My front yard is two-toned with one side dead with zoysia 7 months out of the year, and the other side green with normal grass. I’m Zone 7A. Hi Mr Mike, I have a yard full of weeds and was wonder how to get rid of the weeds and get my grass back? For the ever lingering hurricane Issac my yard and plants were under water for 4 days. A few of my plants survived but it killed all my grass. I cut the weed today but with spring weather already here in Louisiana I am so ready for grass and not weeds. Someone tols me to use the weed and feed. What would you suggest. Please help. I am desperate !! Your article on Zoysia grass was interesting and when I lived up north I to hated Zoysia grass as we had Kentuckey Blue Grass. Kentuckey Blue Grass is what it’s all about it is most beautiful but it is not for here in Florida. I live in Ocklawaha, FL a little south east of Ocala and had temperatures down as low as 29 degrees F this winter. I tried Bermuda grass as it said it was hardy and strong…wrong it browned out, it was weak and now have to replace it. The Zoysia grass is great unfortunately the moles like to destroy it…any suggestions? I do know that Zoysia no matter what you may have heard requires much watering to grow and spread. The other curse we have in this area is builders plant St. Augustine grass which is not a grass but a weed. Whoever named it must have hated St. Augustine and if you use a weed and feed it will kill it. When it grows it has to be removed away from the Zoysia grass, as the St. Augustine will send its runners into it and literally distroy it. You ask who ever heard of Ocklawaha, FL remenber Ma Barker the gang leader back in the 20’s she had her hideout here on lake Weir. She and her son were killed in an upper bedroom by J. Edger Hoover. In my early 20s, we bought a home that had a small patch of zoysia in the front yard, most of that patch was covering the edge of the sidewalk. At the time, I had no clue about grasses, lawns, what it was or what was needed to keep it healthy. I knew I loved walking on it. Very plush! I took a knife (no gardening tools), “edged” and lifted it off the walk. I began planting it around the yard, and in time the lawn was beautiful. I did not mind the brown color in the colder months, as it was a great contrast to the many colors of evergreen plants and shrubs. I had so many compliments on our lawn, even in the winter, even the brown color looked good. I have recently purchased another home in eastern VA and I can promise that it will be planted with Zoysia asap!! I whole heartedly agree with your original assessment of this awful “grass”. I can’t stand it! The short period of it looking nice is just that: short. After that, it looks like hell. Not to mention how hard it is to mow. Criminy! My neighbor just loves it and can’t get hers to grow. Oh the irony . . . It doesn’t find itself having a particularly hard time spreading into MY yard. Aaarrgh! And Round-up doesn’t work. Double aaarrgh!! Thanks all the same for your informative website and the valuable time you put into it. I use Round Up here in Georgia around the edge of my flower beds and it works fine. Maybe it is the location. Where do you live? Can anyone tell me about the invasiveness of zoysia? I have a lot of flower beds and would not want to plant something that is invasive. Hi Mike – I lived in North Central Arkansas for 20 years, and when we built our new house, we planted the entire lawn area with Zoysia. I was a little apalled at the cost,but loved it almost immediately. Most of my neighors had “B-muda” grass, and they all envied my lawn. I guess with the entire lawn being Zoysia, we didn’t notice the dormant color being disagreeable. We had a lawn sprinkling system, so kept the lawn watered well. I loved that lawn, and would do the same thing again. We live in SW Florida, 9b area. Two years ago we planted a newer Florida cultivar, Zoysia Ultimate Flora. It is more shade and drought tolerant than other Zoysia. It is a much finer grass, carpet like, almost like Kentucky Blue Grass, accept much tighter. The grass is so tight, a lot of the falling pine needles will stick straight up. Weeds get pulled rather than sprayed. It required watering immediately after being laid and for the first three weeks every day, then once or twice a week. We irrigate from a freshwater canal behind us. If it does go dormant, with more water it comes back. We have the nicest lawn in our whole area, green all year around. The clippings are good mulch and take a long time to decay. I put some in my compost bin but it took a long time to decay even when mixed in. The lawn mower blade requires sharpening more often. Flowerbeds must have hard material edges or they tend to disappear into the lawn. It costs more to start, but it has been worth it. We have people driving by and stop and ask about the lawn. We Love It. Thanks for all the interesting comments and thanks for your amazing articles, Mike. I live in Central Virginia. Have been watching Fescue struggle for years – especially in certain areas at certain times of the year. I am seriously thinking of trying Zoysia, overseeded with Annual Rye for the winter months(color only). The sparsley seeded Rye will burn out come warm weather and that will allow the Zoysia to roll. Very interesting Blog Mike – please keep up the good work! Until my neighbor passed away, he kept telling me to encourage my Emerald Zoysia to take over his yard. He finally quit spending a fortune seeding fescue (orchard grass) because it wouldn’t grow in this soil. Summer and winter I have the nicest looking yard in the area. I loved reading the notes some people have written. I am inundated with Bermuda grass here and weeds and would love to get rid of it all so you have inspired me to plant the Zoysia grass. The Bermuda and weeds turn brown any way so that doesn’t bother me. Central Oklahoma Thanks guys. Dear Mike This will be short. I live in Colorado and we have the best climate in the US. I sure would like to get my hands on the first lazy guy that thought of bringing those fancy grasses to Colorado. They have infested my beautiful Rye and Kentucky lawn and have slowly choked it out. It spreads out with runners that are tough as dry cuttings and to walk on it barefoot is a killer. You can’t kill it and makes your yard look like hell throught the winter. While putting in a sprinkling system the roots are sharp and tear your flesh while working around it. 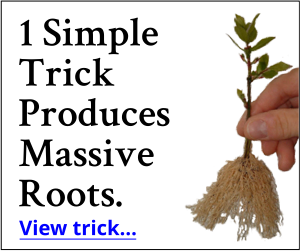 When you snap a green root it sounds as if you are breaking a dry twig. It is like the salt cedars that some idiot broght to Colorado. Thanks for letting me get this off my chest. Bert Pisciotta Pueblo Colorado. Bert, I appreciate your input and feel your frustration. Seems that there’s always two sides to the story. Around here we have issues with creeping bent grass infiltrating our lawns. Great article and great responses from readers, too. Thanks for the education on Zoysia grass! I wonder if we could sow winter rye in the months the zoysia is at its golden best. Would this not green things up a bit?. Am writing from Jacksonville Fl..
We live in Gloucester Va. Our retired nieghbors have a manicured lawn of fescue. I had an acetic lawn of pine debris which I plugged with zoysia. Its been 4 years but the zoysia is claiming every bare spot and slowly taking over everything. What a blessing for someone who doesn’spend every waking hour nurturing his lawn. I am slowly developing a beautiful lawn with a fraction of the time , effort and cost. You are just one more person that has changed my thinking or understanding about Zoysia grass. Absolutely agree with the positive comments on zoysia! Living in the St Louis suburbs it’s difficult to keep a green lawn in the dog days of summer without running up a huge water bill. I’m planting more zoysia to have a better lawn with less maintenance (including mowing). I live in Pittsburgh, PA. and love zoysia grass. Yes, it browns in the winter months, but let’s get real – who cares what color your grass is in the winter – everything up north is kinda brown and not so pretty in the winter. Just look at the naked trees and rose bushes and shrubs – it’s all brown. And might I add – up here in the north we get snow – snow covers the grass so you don’t know what color your grass is. Even Penn State grass and all others looks like yuck in the winter – maybe not brown, but certainly not photo or magazine worthy. I opt for a beautiful lawn in the summer months when the trees and flowers are in bloom – it all blends together beautifully! you get enough snow in Pittsburg tat ou should not see the brown grass. Zoysia won’t let anything else grow. I am in jacksonville fl too! I’m thinking of switching from my St. Augustine grass, as it is not improving at ALL since we’ve moved in. I have spent countless dollars and hours in lawn services, but the people who owned the home before me, lived in the house for 4 years and never maintained it. Never watered, weeded, and they cut it too short. There’s a grub worm infestation that I’ve been battling for months, and I JUST got rid of the fungus that destroyed the front lawn. There’s literally only weeds and poor soil. I’ve always loved St. Augustine, but I’m wanting to get rid of the whole lawn altogether and start with Zoysia. I’m originally from Jersey, moved to St. Augustine, Fl. about 9 years ago. I had St. Augustine grass in the front and back yard which I was not at all fond of. I have 2 boxer dogs and 2 young playful children so when I learned about zoysia I decided to try it out in just my backyard immediately! With a good layer of real soil and hardly no effort it took easily and 8 years later is just as gorgeous! My front yard however has since been a constant battle with the Florida weeds on steroids lol! I continue to deal with bald rotting spots all over and so I keep getting notices from my association, As much as I’d love to, I can’t afford redoing my front with Zoysia, I’ve tried everything but, after reading through your site I got some great info. and I’m going to try using some zoysia plugs! :)) I’m so excited to have even a possible solution to my front yard nightmare! Thank You!!!!!! In Jackson, MS, rye is the enemy of pretty zoysia. Also, be sure the rye you use is annual, not perennial. (Birds have seen to it that I have whatever they have eaten). My B52 hybrid zoysia is not maintenance free and now aged and requires dethatching, and much warfare with St. Augustine invading. The landscapers in this area think dethatching is aerating – not so. So, now I, too, am aging and lawn work is too much. Just mowing will not do., and yes, it turns brown before my neighbors St. Augustine. On the good side, my lawn is beautiful! You don’t have to go through the expense of sowing rye grass on zoysia.. I have had zoysia since the 70s and use a a special spray on paint called winter green that is designed specifically for dormant ,warm season grass. I first used it in the 70s. you spray it on with a sparyer after the first killing frost that turns your zoysia brown in the fall . Your lawn will stay green until it greens up in the spring and the paint will last all winter and not come off on your shoes to be tracked anywhere or wash off. That solves the problem for people that want a green zoysia lawn all winter . I first started using zoysia here in Maryland z7a because I live on the Chesapeake Bay and have Geese that eat the lawn. The zoysia is so strong rooted and still dormant when the geese arrive in early spring that they don’t bother trying to eat the zoysia. I don’t have to start mowing my lawn until late May, instead of early April like the cool season grasses .I don’t fertilize, water or have to use pesticides r herbicides on the lawn and the only weeds I have are spring onions for a short period in the spring . Herbicides kill earth worms and birds that eat the worms before they die. Zoysia is especially popular at summer vacation cottages where you don’t want t have to mow the lawn until yo start mowing your lawn until summer. If you want a green lawn year around ,spray paint once in the fall. If you don’t like to mow your lawn early in the spring, late in the fall, or as much in the heat of summer and don’t want to use dangerous herbicides and pesticides ,plug n some zoysia, be patient and in a few years you will have a care free lawn for life. Tht has been my experience for more that 40 years. I live in the middle of Illinois and want to grow a patch of grass next to our swimming pool. It would be completely isolated from the rest of the lawn. Since we only use the pool from May to October, this sounds like the perfect grass to use. Any opinion? I don’t think it’s a bad option given the fact that it is isolated. If you later don’t like it, it would be easy enough to replace. Great article. I live in Texas and recently planted Zoysia Zoro SOD. I am very pleased after about 4 weeks it is rooted well. We received the flood waters in Houston and the Zoysia has thrived. Previous Grass was St Augustine, very pretty weed and high maintenance. In response to the Golden brown color, there is a pigment spray which will turn your dormant Zoysia Green (Dye only). This process is used on professional gulf course during winter months to keep the nice green appearance. I also heard that the pigment allows the grass to retain heat. God Bless-thank you for sharing -very interesting! I found myself on my hands and knees for hours pulling this stuff out from invading my planters 2-3 times each season. Therefore I would not recommend this grass for sculptured lawns with numerous gardens/planter areas. It will sufficate other grasses and plants, grow up into shrubs and down in and around their root systems which makes the job of getting it our more difficult and time consuming. Also, it is no repsector of space and places when it gets into the neighbors yards where we paid for the removal of our neighbors and planted new grass for them as well. I see other yards where this grass continues to invade and they are constantly battleing this grass seasonally. I have used stone lining of one sort or another to baracade the grass but the runner will go deep and come up on the other side. It is virtually unstoppable and very difficult to rid of once it is started. We had to get out and look for the brown areas when the Spring or Fall grasses began to change colors, get down on the knees and begin to dig, even two years after spraying Round Up (of which I hate with a passion but had no other recourse). Round up has to be applied in the late summer season when the grass is in it’s peak growth season and we had to spray 2 and 3 times to get 96%. The areas not affected were the live runners that were still surviving underground. This grass, while keeps the maintenance of weeding to a minimum makes up for the nuisance of it’s runners and keeps maintenance on a high level. So in closing, I would caution those thinking about growing this, unless you live in the country where the grass will not affect your neighbors or you would prefer to enjoy your gardens and plantings rather than spend more hours in maintenance in destroying what will destroy your peace of mind and gardens. Please think of your neighbors if you live in neighborhoods. Your input is appreciated. It seems that there are two kinds of people in the world. Those that love their Zoysia, and those that can’t stand it. This has by far been one of the most interesting articles that I’ve written as far as strong feedback. I fully agree, Teri, Zoysia is one hardy grass. I live in Central Texas where you have rocks and “some” soil. I might add very little in most cases. I built on the property in 1993 immediately started to add soil to the lower areas and then added Zoysia in checkerboard fashion so as to cover more area. I then filled the empty space with topsoil. It took several years to cover but it is now a very lush looking area of grass. The heat and drought take a toll. It seems to go dormant in the drought years but always comes back. I also planted St. Augustine under the shaded areas and the two work just fine together. St. Augustine stops at the drip line as it meets up with the Zoysia. Both have their limits as to where they grow best. I fully recommend Zoysia to all my friends and neighbors because they always are asking what kind of grass do I have? The Zoysia has started a slow move to areas that I have opened up under the tree areas now. I guess it is looking to get out of the sun, lol. My hybrid zoysia does not invade. I am told there is a zoysia that is wild. Would like to know. Are you sure Zoysia isn’t akin to Kudzu? Wow good points. I am lucky because both of my neighbors like the Zoysia grass and would like it to over run their St. aug. thanks for the info about runners in the flower beds. I will put a 4 – 6 inch deep retaining liner in around the perimeter of the flower bed. This is an amazing grass, LOL.. I agree. I have the same problem. It invades everything, above & below the soil line. It looks nice but the type I have is extremely invasive. I also need to add that I live in Orlando, Fl. I have had to place barriers several inches below the soil level & a few inches above in an attempt to keep the Zoysia out of my flower beds. The roots run deep and long. I fear that it will grow under the barriers–I’m waiting to see! I would not have planted it had I known it would be so hard to control. You do realize RoundUp is glyphosate right?! It is absolutley the worst thing you could spray in OUR shared environment. Its getting into everything including us! Please be more responsible for you planet and fellow humans! Stop using RoundUp!! OMG I Love Zoysia! I am in Central Florida, and we in Volusia county have HORRID water restrictions, and Stepped Water charges ( the more you use the MORE it costs) and there is NO relief as the city OWNS the water company. Zoysia is wonderful to walk on, stays green,and doesn’t need a lot of water like St Augustine or others. A good friend of mine has a zoysia lawn. Its beautiful! He really loves it. It took him years to get it all thru his yard but it was well worth it. I have started some in my yard but for me to buy enough plugs from zoysia to do my whole yard I’d have to take out a morgage(LOL). So I have started it in some parts of my yard and will keep trying to transplant it to other parts. My opinion is its a thumbs up!!! The answer is to buy enough to sprig a 20 X20 area, or so, and in a couple of years you will have enough to do the entire yard. Yes.. Sprigs work and take far less to create a lawn. I just slide a shovel under the turf and peel up the sod. Then I pull it apart with my hands to get long sprigs or clumps of sprigs. Then with a flat blade I just make a slit, place the sprig in and step on it or close it in some way. Then water so it doesn’t dry out. roughly 50 years ago when my family moved to New Hanover County/ Wilmington, NC; the lawn at our newly built house was seeded with winter rye. Over the next 3 or 4 years we obtained a few patches of Zoysia sod , about 2 square feet each, we would take a piece each spring about 3 inches square and break it out into single sprouts which we children would root and plant along a string line in the front yard. We finally got it established in the whole front yard and It developed into a lush carpet over the ensuing years with little encouragement. The low maintenance and elimination of weeds was worth the initial wait! I have to admit, when I wrote this article I expected a ton of negative comments about Zoysia grass, but that’s not all what happened. Thanks for sharing. I agree with your patient strategy.For some reason .some people won’t start a zoysia lawn because they don.t want to wait a few years for it to take over their lawn. I see the people years later that instead did nothing and could have had a complete zoysia lawn by then if they plugged years before? I live in NE Utah and am thinking of planting zoysia between my raised vegetable beds. I have spent the last five years building beds to get away from the bindweed and other tenacious weeds that always took over my garden regardless of how much I weeded. Now the areas between my beds beg for a grass but I worry about it spreading into the vegetables. Do the roots go very deep because I have found that bindweed will go to the bowels of the earth in order to get into my beds. I have an organic yard so I would not be able to spray weed killers. I use a mulching system to kill weeds. It has runners, so to speak. It loves to get established in clear open areas(where no grass is, bare open spots). It will even travel over the curb into the street, but it can’t root no where so it stops at the road/curb. Check your local garden center for organic weed control products, they should have them. I tried it some 30 years ago—- not one plug survived. You had better have acidic soil or it will not make it. Out west wheer we have so much alkaline soil it is not even possible to grow it. My Zoysia love the pH 8 clay here in Texas! Thank you for that. I’m in FW & am planning on zoysia & wondered. If the landscaper ever gets here. I had it for years in Nashville & it was gorgeous. I seeded my yard in North Richlands Hills with Zenith zoysia this year. It has come in nicely and looks very good. I don’t know about water yet as it does needed it to become established. We tried it and it was awful. Would never try it again. It was expensive and it didn’t take, I live in Wisconsin. Jan, your neighbors are probably thankful your Zoysia didn’t take. Very invasive (pretty much like bamboo). For northern climates I don’t know why anyone would consider this crap as it looks like a dead lawn until late May and by the first cold in early September it turns brown/white like dead grass. Three months to be weed free is not a blessing. Also makes for the worst relationship with your neighbors as it gets into their lawn. Shoots underground similar to bamboo (just not as deep). I put in 3,000 plugs in Southern Wisconsin at the end of the summer of 2012. I was never really sure if it took until this spring I could see all the brown areas and runners along the sidewalk. I can’t really see where it has invaded gardens. The area I did is completely surrounded by sidewalks so I hope with edging it won’t escape into other parts of the yard. I am really excited to see that it’s working! Burning is not an option in most metropolitan areas, like Atlanta, where burning law seasons are strictly enforced. By the time it’s time to burn, it’s too late. Just wanted to say thanks for the article and to all that commented. I’ve been studying three lawn books and digging through the internet trying to decide on a new grass to put in. I was leaning toward Zoysia and in searching for info came across this page. Again thanks for all the insight, I bookmarked it to share with my wife. I love our zoysia!! I planted plugs years ago, and it over took a very steep section of a hill in my yard. I was unable to grow anything on that hill! In addition the zoysia section I mow probably once every 3 weeks and the rest of the lawn I mow every week!! I got tired of the browning, it was very ugly for most of the year ( I am just South of Philly PA). I then learned of LAWN PAINT! It is the absolute best thing ever!! I could care less what anyone says about it. Let me tell you that zoysia is an IDEAL lawn for lawn paint! Absorbs perfectly and in 10 minutes you have the best looking lawn in the neighborhood! It is amazing on Zoysia and you hardly ever even cut the lawn! We live in North Carolina. My father-n-law, Bill bought some Zoysia plugs from a mail order catalog. When the box came it was basically four pieces of Dead brown sod with cut perforations. I told him that he got ripped off. He still took the time and plugged his entire front yard. I thought he was crazy. But I am here to tell you, it took two full seasons and his yard looks Awesome. The Zoysia took over! I mean everything. Choked out all weeds and old grass. He never waters it or fertilizes it! 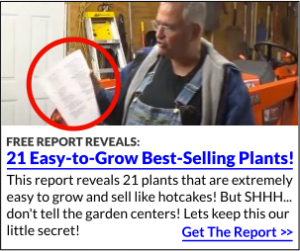 Meanwhile, I am next store to him spending money on weed-n-feed chemicals, fertilizers, bags of seed every year and my yard still doesn’t look as good as his… soooooo, I had enough, My family decided to killed our entire front yard with roundup. We brought in two loads of top soil and 7 pallets of Zoysia. I can’t believe how beautiful this grass looks and We just layed the sod yesterday. 7-25-12 I will let you know how it goes and grows. Thanks Mark, another big fan of Zoysia grass. Do you have any pictures of your lawn? How’s it going now that it’s 2016. Very curious about this type of grass. My brother in law has weeds all over his lawn except for one 10×10 are where Zoysia appeared on its own and it looks great! I sent away for enough Zoysia to plug two acres. It arrived packed in a cardboard box. Whe I opened the box, it was dry dirt and dead Zoysia. Wrote the company and never heard back from them. So, I cannot recommend the company because of their lack of customer service; I also cannot recommen the Zoysia because I never got to plant the plugs. The pallets were dormant due to lack of water. Place them in the shade and water several times a day for two days and they wil be ready for plugging. Empire zoysia grows very well in SW florida once it is established. I installed sod because grows very slow and suppliment with Ironite 2 times a year. I live in Austin, TX. After the endless years of drought and our yard looking hopeless, we’ve looked into relandscaping with Zoysia. Does anyone know how long it takes for the plugs to fill in, or should I lay Zoysia sod? I recently noticed the sod squares being sold here at Home Depot. The Bermuda that was planted when our house was built was not doing well and we received a notice from our HOA. We tilled our entire front yard, removed all the root material and laid down sporadic top soil here in northern Dallas in March 2017. I would recommend tilling in some gypsum to breakdown the clay and using a complete layer of topsoil. After some research, we used Palisades Zoysia for it’s shade tolerance and drought resistance. It’s greening up very slowly this year, but there are absolutely no weeds. Prep is key. My neighbor had his done with another varietal of Zoysia, Emerald I believe, but the “professionals” who installed it simply took a weed whacker to the existing grass, threw down some top soil and then threw done the grass. Doing it your self is a lot of work, but it done right, should yield years of a low maintenance lawn. I have no idea what grasses I have in my front yard. I live in SE Missouri, almost in the bootheel. I would love to rid my front yard which is about 7000sq feet, could someone tell me how many “plugs” of Zoysia and how far apart and about how long it would take to crowd out all the other stuff? Oh and I also have grubs too, so I suppose first on my list would be to get rid of them. I’m curious about the use of the winter rye while the zoysia is dormant. Does it act as a “green manure crop” as it does in the vegetable garden? I’ve tried that a couple of times and it fixes nitrogen in the garden soil. So does it help out the zoysia? Also, I’ve got a big patch – but it doesn’t want to spread – any thoughts? Rye doesn’t fix nitrogen, but it uses up a ton of it. When you till it in then it releases what’s left. Will do the same thing for Zoysia, but Zoysia doesn’t need much nitrogen so you’d be wasting your time. As for the bare patch, flush it really well with water (to leech out anything that may be stopping the spread) and take a chunk from your zoysia that’s growing, plant it in the bare spot. We have a fairly small front yard with mostly weeds & some spots of bermuda. It is on the north side & can get pretty shady near the porch, but it does get sun in the places without beds [one maple has a mulched bed under the drip line]. Does anyone know if we use a post-emergent on the weeds, could we plug in zoysia & how soon? Would like to try it in this part of yard. In 7b No MS zone. Thanks for any help anyone might post. I just wanted to say I am a Zoysia FAN here in the South (Atlanta). I bought my home 5 years ago and the front lawn was a mix of fescue and weeds. I hired a lawn service to keep it maintained and they were here faithfully every week to mow the weeds and grass. Finally I decided to invest in the yard and had it fully relandscaped. The landscaper suggested Zoysia sod so that’s what I went with and I have the best looking yard in the neighborhood now! With the prevsious lawn I was spending about $55 dollars a week on keeping it maintained during the summer, probably starting around March. So for about 9 months out of the year it costed me approximatly $2,000 dollars for the upkeep. Now, with the Zoysia it only has to be mowed maybe ONCE a month and watered about once a week, if that. I have literally saved myself about $1700 dollars just in maintainance. Winter Rye is the solution to the golden brown lawn in the winter months. It’s easy to spread the seed and in about a week you have a green lawn that is beautiful throughout the winter. In the end Zoysia is a great option for folks that want to SAVE a lot of money on their lawns and still have the best looking yard in the neighborhood year round. The solution for me for having my Zoysia creep into my neighbors yard was to have a mulch bed installed all the way around the perimeter of my front lawn. It’s approximately 2 feet wide, maybe a little wider, and all I have to do is keep the mulch maintained and it keeps out the weeds and the Zoysia is easy to control to keep it from invading into the neighbor’s yards. The landscaper added that into the landscape plan without me knowing it and it looks awesome and it’s something you rarely see done in landscaping here in the South. One more thing…I know you love the Japanese Red Maple trees, as do I, so I wanted to tell you about one called the Sango Kaku or the Coral Bark Japanese Maple. I am not sure about their hardiness where you live because I have read many blogs of complaints from folks up in the Northern areas saying that their trees died after a year, etc. Either way, they are beautiful specimen trees with, as the name suggests, coral red bark and beautiful green leaves. The contrast of the colors is magnificent. I took some cuttings from the one I have currently and am propagating more of them to add to my landscape and/or sell. They are one of the lesser expensive varieties to purchase being around $25 dollars or so. Thanks for all your information that you share. It’s much appreciated! Mike, I’ve got a Sango Kaku Japanese Maple in my landscape. It’s small, been there a few years. Most people that lose maples lose them to wet soil or too much fertilizer. Most winter pretty well until it gets really harsh. Mike, We planted Zoysia sod in the spring. Now it is time to over seed. What do you suggest? We have two dogs and the zoysia is thinning in places. Five oaks make for a lot of leaves on the grass right now too. Should I rake it next weekend and spread Rye all over the lawn? Confused as to how to maintain this investment…. If you want Zoysia lawn I don’t think I would introduce any other seed into the lawn. If you keep the weeds out and the zoysia healthy and happy it will fill in by itself. I live in east Texas. I have 10 acres of land that I am slowly clearing. I have about 2/3 of it cleared. the weeds have taken over everything I have already cleared. the areas I can now look like grass but since its just weeds that I mow I have to mow them twice a week. and that’s pretty much all I have time to do. I finish mowing just to start all over agsin. if I plant zoysia how long will it take to take over all the weeds? so that I can have a life that’s not sitting on a lawn mower or pushing one. and is there a type of zoysia grass that grows faster than the other types? that might work, but only if you can keep the weeds at bay while the Zoysia establishes itself. And because of that, I’m not sure it would work. You would have to completely rid the soil of weeds and actively growing weed roots just as if installing a new lawn. Till, let dry, till again, repeat. Even then, as you have experienced, the weeds will be right back. I suggest trying a small area or just plant another type of grass. We’ve had zoysia for many, many years in our yard and the dormant coloration is really rather pretty! At least it’s consistent where the zoysia has taken over the yard. Live in Indianapolis, IN and Father got onto the zoysia bandwagen early on. We have 5 acres and most of it is now “zoysia-ed” and makes for a great lawn. Even the deer come to graze on it sometimes. Better that than my roses! LOL Glad to have the zoysia and thinking I need to plug it into the dog yard. Muddy rim there. Appreciate all the tips and info you put out there, Mike. Put us in the “love it” column for zoysia. What do I do when I am re-sodding my yard to prepare the soil in the best way to get a good start for it? I had grubs last year that overtook my yard, and now I have had the old sod removed and have brought in new topsoil. What should I use in the soil before putting down the new sod? Thanks! What I would do is get a lawn spraying company to put your new lawn on a 6 month application schedule this year and make sure they treat for grubs. Grub treatment has to be timed so the application is done after the beetles lay their eggs and the grubs are still near the surface of the soil. Treating too early won’t work because the grubs burrow deeper for the winter. When my parents bought there new home it wasn’t even finished. Mom, being the ‘yard lover’ immediately set up an account with Lawn Doctor to care for the lawn as soon as it was installed. After 12 years, it is still the best looking lawn in the neighborhood. I do have a question though. Is there a risk for “too much chemical” with an ongoing lawn service? David, from what I’ve learned writing this article I think you need to do all you can to make the Zoysia healthy and happy and it will crowd out the Bermuda. I’m thinking the rye will shade the zoysia too much and compound your problem. I live in North Central Texas (north of Dallas) and the only problem I have with my patch of zoysia out front is that it grows too s-l-o-w-l-y. Seems like it’s taking forever to spread to the entire front lawn. Oh, and it costs about 1 and 1/2 times as much as St. Augustine sod, which is the grass of choice for most people in this area. I don’t like St. Augustine’s broad blades and the fact that it has no rhizomes (only stolens), which means a hard extended freeze will kill it dead, never to return. St. Augustine grass also requires a lot of water. I LOVE the fact that zoysia requires almost no watering, only needs mowing about twice a summer and chokes out all weeds in its path. It also feels GREAT underfoot. I have nine acres, most of which is johnson grass which a neighbor farmer cuts and bales twice a year, but I also have a stand of buffalo grass which also requires no water at all, and grows very slowly. Unfortunately, buffalo grass will not tolerate ANY shade at all, while the zoysia is fine with shade. In fact, it grows best right under my big sycamore tree. Bottom line: I LOVE my zoysia grass, and wish I could afford to plant an entire acre in it. LD.. I just recently returned to Canada from a two week vacation in Orlando. The condo we rented, had a very ‘thick lawn’..felt strange to walk on as it was ‘so cushiony’ ? Is that a word ? I was interested in the grass type..never have seen Bermuday, St. Augustine or Zoysia grass before, so not sure what it was ! Very ‘thick bladed’, almost like our crab grass in Canada..and a lot of browner stuff underneath ! Any ideas what it could have been ? We grow only Rye/Fescue in these parts, so not sure if Zoysia would even work above the 49th ! That is St. Augustine grass, the most common choice in Florida since it tolerates the intense sun and heat as well as many bugs. It requires a lot of water and poses a serious threat to Florida’s water supply. St. Augustine often forms a thick mat, almost like walking on a mattress, that I find unappealing. It is also very coarse and woody. I favor Zoysia for Florida now that it comes in several new cultivars suitable for our climate. Will Zoysia grow in the shade in Georgia? I have a couple of large shade trees in my front yard that is completely bare and ugly. We have been trying to find out if Zoysia would grow under shade trees? I don’t know but something tells me that it is a sun loving grass like most turf grasses. Dennis, before I wrote this article I was not a big fan of Zoysia and only had limited exposure with it. But through this process I found a lot of people who absolutely love their Zoysia grass. So I’m curious, what part of the country are you in? It doesn’t do anybody any good to read you hate it without expanding on why you hate it. I live in central Florida and I sodded an area locked in between a sidewalk and flower bed with zoysia a few years ago. The first year it looked kind of rough and I wasn’t sure I would like it, but once it got established it became a beautiful thick lush green lawn that is awesome to walk on. It took a little time, but it looks great now. My lawn is quite large and didn’t want to spend the money until I tested it first. I still haven’t sodded the whole yard, but i’ve been sodded an area around my pool and i’ve been playing around with plugging underneath a large oak that I can couldn’t get anything to grow under. It seem to be promising. It definitely one grows well in the direct heat of Florida and is looking like it’s going to work in the shade. I love it. We appreciate all your garden news here at our condo in Bradenton- even though the condo people don’t allow much choice in plants! I have a lot of experience with Zoysia. I think it works great in high traffic areas.. it loves to be walked on and will stay low and not mound. however if there are any rocks or other hard surfaces under/in your soil it will mound up… badly…will do the same on steep slopes/grades. 2x a year I use a sod/carpet knife and have to edge the all the Zoysia. I’ve used weed barrier and even ones that have herbicide nibs on them… doesn’t matter..it will spread. Disney has a type that I haven’t seen available in nurseries but it’s taller and has a wider “blade”..not as stiff.. It looks a lot more like the grasses people are used to. I will contact them and hopefully get more info. Aboout the zoysia grass. We live in the upper part of SC and last year sodded our entire lawn with zoysia. (We had tried centipede, which does fine in the lower part of the state but not so well here where it is cooler.) Yes, it turns golden brown in the winter here, but not until around Thanksgiving, and now in March it is starting to green up again. We love this grassl It is like a lush carpet. And in the south, we are accustomed to brown grass in the winter, as all warm season grasses go dormant then. Fescue might be good for the north, but I hate it! In the summer it becomes sparse and brown, and all you see is clumps with lots of bare ground between. So ugly! I much prefer zoysia’s golden winter carpet (which I consider quite pretty) to the sparse green/brown clumps of cool-season grasses in the summer. Besides, once zoysia is established, it is very low-maintenance. Not much mowing or weeding, and no re-seeding. I suppose a lot depends on where you live and what you are accustomed to. we know about white/Red clover, can someone subject a good grass to help our cattle grow, and give them the vitamins they will need. Re: best grass for cattle – The Zoysia website itself says nutritional value is minimal. Fescue – KY31 – Clover. All you need. Are you sure you have cattle? JC, don’t you think that it was just a little rude to ask if they were sure if they had cattle? I still say there is no difference in Zoysia and Bermuda. The look the same and turn brown the same. They are both intrusive weeds and must be dealt with with weed killer. Zoysia is much thicker, like carpet. Burmuda grows faster, but is much thinner. Zoysia is definetly better looking, and chokes out weeds. I’d have to say that you are going to have to get rid of the fescue and clover then allow the zoysia to move in or plant more plugs. I agree. Up in the Chicago area it is an ugly weed. Turns nasty brown in the lawn in fall. I really enjoyed your article and the comments from readers regarding Zoysia grass. This was something I had just been wondering if I would like in my yard. The answers I’ve seen so far don’t completely answer my questions. I have a yard that is mixed with a lot of different grass and weed varieties. My biggest nemesis is the bermuda grass, closely seconded by burr clover. Those two I’m trying desperately to get rid of… or at least get them under control so they aren’t choking out everything else I want to plant. I need to know how quickly the Zoysia spreads and how much of a problem it will be if planted near my vegetables. My backyard is going to be mostly vegetables and flowers around the edges with a patch of some sort of green grass or low groundcover in the center. I need something that is fairly controllable and that will stand up to children. Zoysia spreads slowly but is persistent and will spread into your garden eventually if not prevented. Creating a barrier and prevent it from entering your garden would be easier than trying to eradicate it after it has crept into your garden. Zoysia spreads by both underground rhyzones and above ground stolons (horizontal runners that take root at intervals). So a two prong approach would be best. I would make a “no grow zone” between the grass and the garden with a mulch strip or concrete pavers all around the perimeter of the garden as a separator between the Zoysia and the garden. People have been successful with keeping Zoysia out of the neighbor’s KBG with a two foot mulch perimeter around the yard. As you see any runners trying to sneak across this area you can pulling or spraying them before they reach the garden. Use cardboard or 10 layers of newspaper as the base of the strip then putting on mulch or concrete block. The cardboard really helps with weed prevention. 2) Secondly, to stop the rhizones you need an underground vertical barrier between the grass and the mulch. One of those “poundable” plastic landscape borders pounded all the way down to ground level might be deep enough.. I would cut up a section of the Zoysia in the area and look for the horizontal stems that laterally shoot out. I believe they are usually not as deep as the root itself. Depending on the soil and the health and variety of the Zoysia the rhizome could be different depths in different lawns. You want the vertical barrier well below the level of the horizonal runners. My dog tears up our existing lawn (just fetching ball!) here in Pennsylvania and it’s a lot of work to try to make it look good. I have walked on Zoysia grass and have to agree it feels wonderful underfoot while eliminating weeds. I am moving to Florida and would love this kind of lush Zoysia grass. I’d like it at my new home. Anyone know if it grows in Southwest Florida? Oh yes, it does very well but make sure you buy Florida version and not the stuff from up north. The Florida version has adapted to sandy soil. Mike, I plugged my 3 acres in zoysia grass about 10 years ago. I have the most beautiful lawn in the area. I have never fertilized it dumped ant chemical on it nor watered it. It is the softest grass in the world to walk on. My dogs love it and the local deer sneak into my yard to sleep on it. My nice green lawn becomes golden brown each winter and it is still more beautiful than my neighbors multi colored chemical polluted grasses. My in-laws had Zoysia in Northern Virginia. Yes, brown in winter, But very easy to care for. I live in Colorado. I have heard that Zoysia does not grow well in the mountain west. Is that true? Any experiences from westerners? Has any one ever tried over seeding Zoysia with annual Rye so that you have a green lawn during the winter? A little South of Chatt. Tn. Yes, that’s what we do every year in College Station, TX. We live in a neighborhood that has lots 3-10 acres. Most use St. Augustine or whatever grows naturally, but we have the Zoysia with wider blades (Palisades)and it is the prettiest and greenest yard of all. While everyone else has brown yards in the winter, we just sow rye and it’s great. It dies out when it gets hot, about the time the Zoysa is recovering. Although, I must say that this mild winter left even the Zoysia mosty green. i live in austin and planted zoysia a couple of years back right before the awful never ending summer we experienced. the zoysia limped along and after last summer is doing pretty well. thinking about doing some plugs in barren areas, etc. this year to fill in. anyway, wondering which variety of rye grass you use and if it in anyway seems to impede the zoysia? love to have a green lawn in winter. I live in Eastern Kansas, summers hot and dry. I have a neighbor whose lawn is nothing but bermuda and other weeds. My fescue lawn is beautiful and I have been fighting a loosing battle getting rid of bermuda that keeps creeping in. I am now planting a Red Barberry hedge in hopes it will be a barrier. Sure fescue will go dormant when you have a drought. I don’t water mine but do keep it fertilized and usually even here in Kansas I have green grass YEAR ROUND! Lordy but I DO HATE BERMUDA. Zoysia is the same, BROWN, BROWN, FOR MONTHS. I’ll stick with good green fescue! Where you live makes a big difference it seems. Here in Mississippi, I know of several Zoysia lawns that always look better than other grasses and actually stay green longer. Perhaps it’s the variety that matters as well. I enjoy your articles and thought I’d put my two cents in from the West. I live in Central California, where we don’t have freezing winters, and pretty even climate. I planted Zoysia grass around my mobile home year before last, and it’s now filling in nicely. I haven’t seen it get brown at all, even with periods of no rain. Perhaps the “browning-up” of the Zoysia in other parts of the country is due to freezing and not lack of rain. So far, so good, and I’m glad I planted it. I was driving home,and noted people burning their grass off around their home. I believe this grass to be Zoysia Grass. Can this be true and if so what is the purpose of them doing this. I think it is pretty common practice to burn off grass… You get a fresh start and the ashes are great fertilizer…. I burn my pastures off every couple of years… the grass comes back extra green! when I lived in Southern California, Pasadena area, I had Zoysia in my front yard. I watered regularly, unfortunately, I had all sorts of things growing in my lawn, from spearmint (which I didn’t mind) to dandelions and little weeds with yellow flowers, which I did mind because it was overtaking the grass. over 20yrs.ago my wife and I planted Zoysia plugs in our existing grass. After it established itself, we are loving it. Watering is not an issue and neither are weeds. Color change doesnt matter to me. Where I used to live (kansas)all grass went dormant in the fall so it is no big deal for us. Con if you do not have a self propelled mower you will definitly get stronger legs and upper body. Rick, you are so right, we put down emerald zoysia in June. The yard looks great, but will definitely give you a work out. Like pushing the mower throug sand. GET A SELF PROPELLED. Mike, CHiming in from St. Louis Suburbia 5a/6 we love our zoysia above all others. Zoysia withstands our German Shepherds trampling, requires less mowing, zero weed killer (I pull the occasional weed if necessary.. or harvest lol), minimal (zero) watering and doesn’t require traditional commercial chemical fertilizers. It simply THRIVES if left to do it’s own thing with zero human interference except the occasional mow…. half what our neighbors require with tall fescues which always need overseeding. Not so with zoysia. We noticed as long as the worms under the zoysia are happy, our zoysia remains happy. I sprinkle dried used coffee grounds throughout the zoysia, preferably just before a steady rain washes it into the soil or just after a mowing. The coffee grounds are “payment” to the worms for tilling the soil and feeding the zoysia. A few years ago we had to remove some soil from a slope area to make the watershed wider. We tried seeding but the seed always washed. Zoysia to the rescue – in relative quick fashion it quickly crept in from the surrounding patch filling in the small hillside throughly. So all in all zoysia is a time saver, an energy saver, a water saver, good for the environment and good for the household budget! That’s a winner! Mike, In response to the initial cost of zoysia, since at the time I was a single female homeowner at the young age of 22, I too could not afford to sod my entire yard in zoysia. Instead I bought 3 sections of sod (what I could afford at a time) and cut the sections into my own custom plugs. To make it really easy, I lay the sod strip down, took a sod plug tool (round) and used it to cut plugs. I left ample enough gaps between plugs so I still had a valid strip of sod with many round holes. I placed the sod as usual, then used my new custom plugs throughout the yard as customary for zoysia. Once my sod was established it quickly filled in the round holes (where I had placed the “regular grass plugs” from the yard) allowing me plenty of zoysia from which to nab more plugs. This could be done at even less cost if a generous neighbor or friend allowed some plugs to be “borrowed” initially, or offered to weed their zoysia creeping into flower beds…. us zoysia people always have extra zoysia we dont need! Lol. Anyway I now have ample zoysia for the initial investment of a zoysia plug tool and 3 strips of zoysia. So for those of us on a tight budget, zoysia is still an option. Mike, I now live in Brigham City, Utah. Maybe about 40 yrs. ago our family lived in Tucson Arizona. Hot, Hot… We had beautiful green lawn year round. Our yard was planted in zoysia, and yes it turned brown in the fall. My husband would spread, I believe it was rye grasss seed over the top of the existing zoysia in the fall. The rye came up quickly and stayed green until spring. Then the zoysia again took over. We always had a nice yard. Thanks for the update. I was one of the people who posted saying I loved my zoysia. Its nice to see you actually read what we take time to write. Keep up the helpful info…much appreciated. I am a zoysia fan and my wife is not. I had portions of my yard like between mine and the neighbor’s drives that I have literally spent hundreds of dollars on grass seed over the years to no avail. We here in NC are on the cusp so to speak with an overwhelming percentage of lawns in cool season grass such as fescue. Fescue looks good during the cool seasons but as soon as the heat kicks in with added drought, the fescue turns brown, dies and allows the crabgrass to flourish. I plugged in zoysia in the area I mentioned and it has not only covered it with dense grass, it has not allowed weeds or crabgrass there. My only mistake was taking some across the drive into the main body of the lawn because as I said, my wife hates the cold season browning. However, I can put up with some complaints for the savings in maintenance. Once it all gets covered with zoysia then there won\t be the what she refers to as ‘neon brown spots’ it will at least have grass instead of weeds which turn brown in winter too. My recommendation would be if you just have to have green grass to mow until December, overseed with annual rye and let nature take its course. In Philly. My whole yard is zoysia. Love it. Who cares if it’s brown in winter. So is everything else. NO WEEDS EVER! Living in SE Tennessee, we are hot and dry in the summer and have a short winter, usually without snow. We have neighbors with Zoysia as well as neighbors with Fescue. Zoysia is beautiful in the summer when the Fescue is dormant. The Fescuse is beautiful September through June. The biggest problem that must be considered when using Zoysia is fire when it is dormant. During the last two springs, when neighbors were cleaning up their yards they had small fires which they were tending. A single spark can ignite dormant Zoysia and it spreads litterally like wild fire. You cannot put it out with rakes – you must use water. In both cases, the neighbors were tending the fires and being careful. Luckily other neighbors and the fire department were able to put the fires out without burning down buildings. Fire is the main reason we will not use Zoysia. it sounds like the biggest problem is having neighbors that start fires around zoysia. Any other material that can catch fire too. Mike – I’m a retired microbiologist working for my son, Atlanta. Grass in the South: fescue dies out in summer and must be overseeded every fall, only option in shade; Bermuda (below the fall line (Augusta – Columbus)invasive, tolerates sandy soil, sun; centipede more shade tolerant; St. Augustine less cold tolerant; zoysia strains that are more shade tolerant available, one can be seeded.